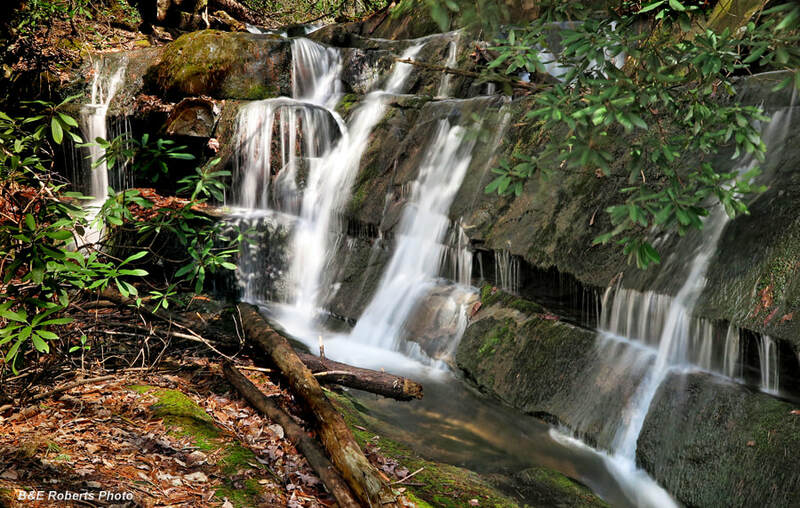 Waterfall Info: This is the only significant waterfall currently documented on Wolfpen Branch - a major tributary of the Left Fork Soquee River. However, I believe that there are several noteworthy drops above this waterfall. 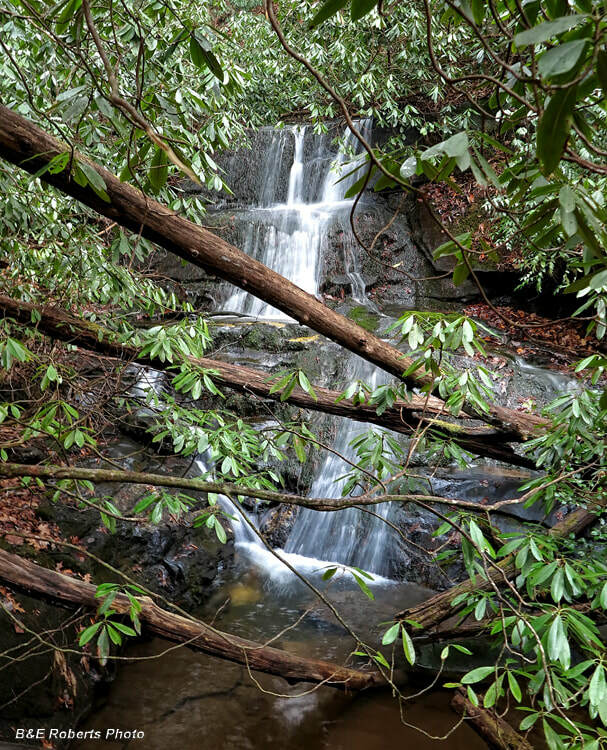 In addition, there are three small waterfalls below Wolfpen Branch Falls (see photos below). 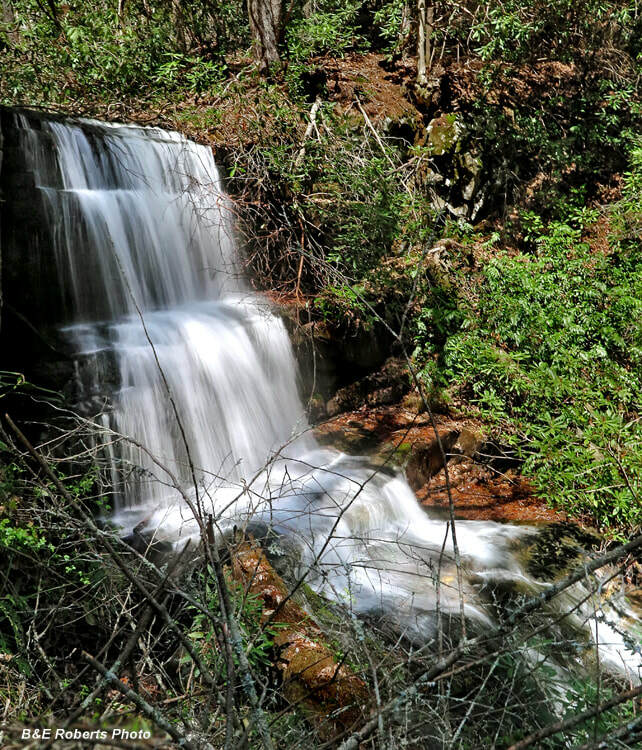 Access Info: This waterfall is accessed via a difficult off-trail hike from the unofficial trail leading to Soquee River Falls. 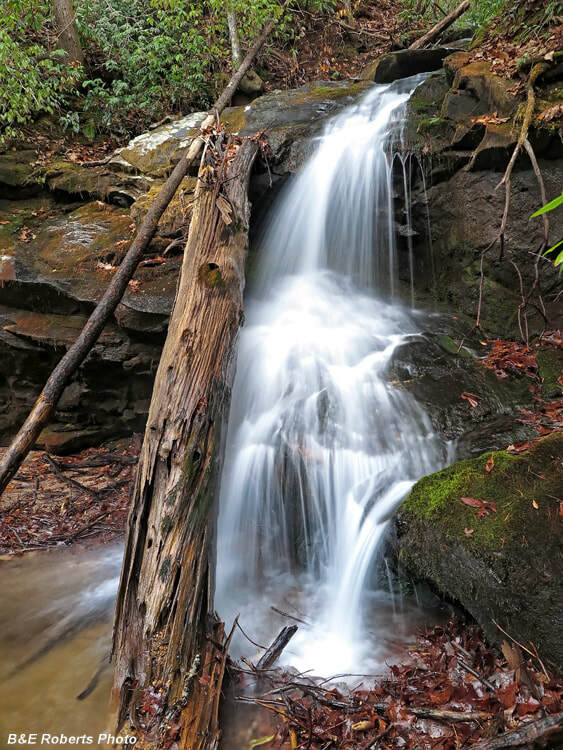 An old logging road leads all the way up the Wolfpen Branch valley to the falls. However, the old logging road is covered in literal hundreds of downed trees, making this a very strenuous hike. In addition, you'll find it quite challenging to scramble to the base of the falls.